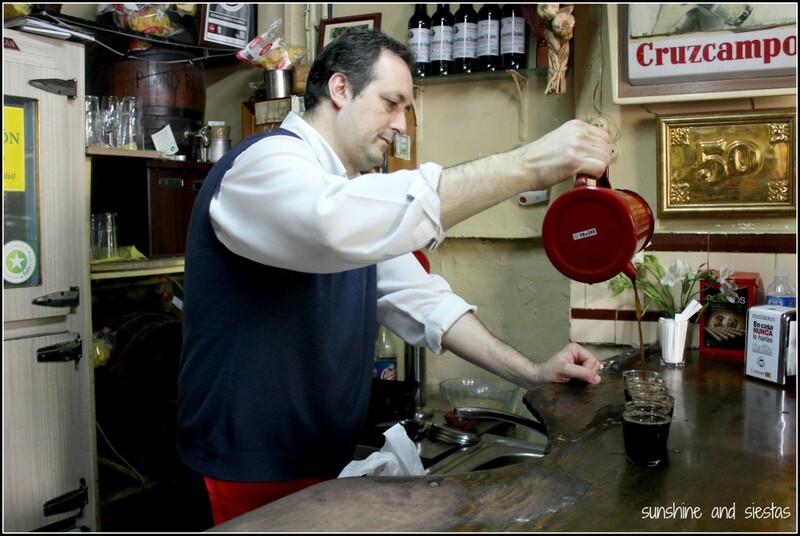 Navarre, to me, has always been a funny place – it’s wedged between the Basque country, France and the ancient kingdom of Aragón (plus La Rioja), making it a hotbed when it comes to political upheaval and culture. Even if you can’t place it on a Spanish map, if you grew up in the USA and took literature class, you’d know it’s famous hijo adoptivo, Ernest Hemingway, who put Pamplona and the San Fermines festivals on the map. Provinces: Just one, with the administrative capital in Pamplona. About Navarra: Navarra has a strange mix of Visigoth, Basque, French and Mediterranean heritage and has been populated since before Roman times by the Vascones, a precursor to the Basque peoples. 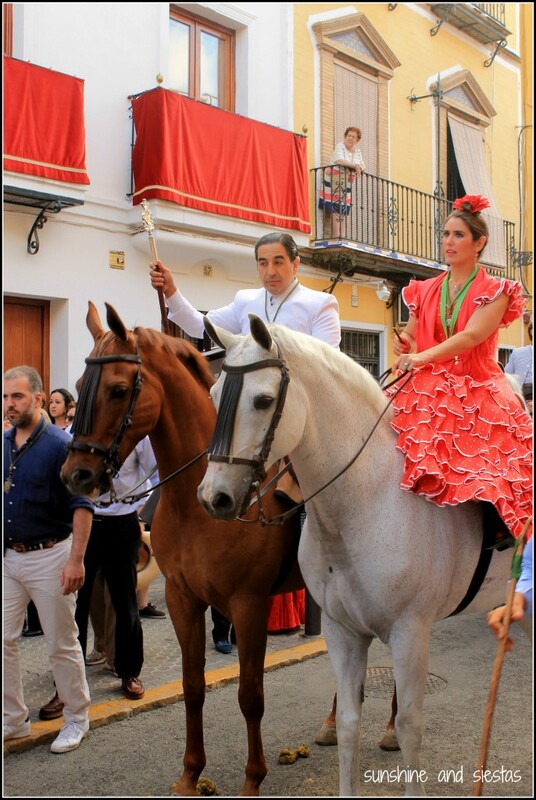 And throughout the jockeying between kingdoms, the navarros remained fiercely independent – even today, their tax system is kept local instead of being relegated to the central government, a responsibility that few autonomías have. The name of Navarre has two widely-believed hypotheses: either nabar, a Basque word meaning ‘brown’ or ‘ruddish,’ and, more commonly, nava, which refers to the wide plain. Regardless, the linguistic heritage hints at the region’s origins. Before the Navarrese kingdom was established in 934, Navarra was: Vascon, then conquered by Charlemagne, Basque, then Moorish, followed by a stint under the Franks. 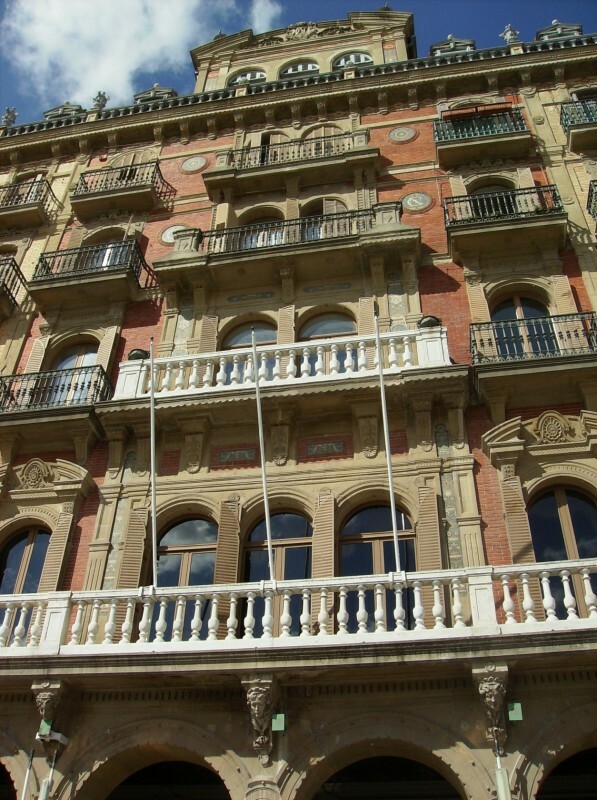 Rebel leaders then took control, but the Basques defeated them and ruled for 80 years. Borders changed frequently, and Pamplona and Navarre were considered to be two different entities for decades. In 934, Sancho II declared himself King of Navarra, and under the successive king, the region grew prosperous, thanks to the fertile plains and trade routes. Sancho III, long considered one of Spain’s great rulers, expanded his kingdom before his death, upon which he left great claims of land to his four sons. This would alter the course of the kingdom – of both Navarre and Spain – over time. But not without a fight – the kingdom jockeyed once more between French dynasties because of marriages and treaties. It didn’t give into pressure from Castilla to join the Inquisition but its greatest cities fell in the Battles of Chambrai to the strong Spanish crown. Nowadays, Spain’s coat of arms bears the navarro flag. The region remained mostly independent, prospering under individual fueros, or power holds governed by local law. But with the Spanish Constitution of 1812, all fueros lost power, eventually leading to the Carlist wars of the 19th century (and possible origin of the word guiri!) – and its eventual inclusion under the Spanish crown. 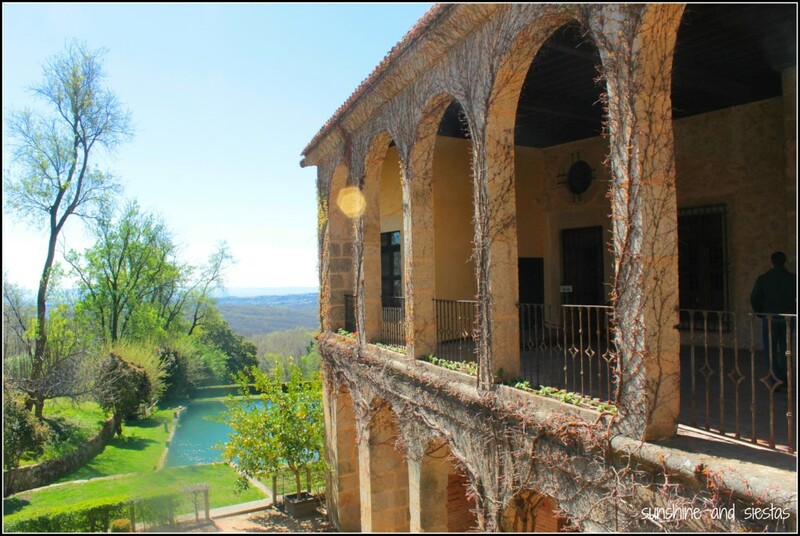 Must sees: Navarra boasts its own wine region, lies along the French route of the Camino de Santiago and is home to one of Spain’s most globally known festivals. 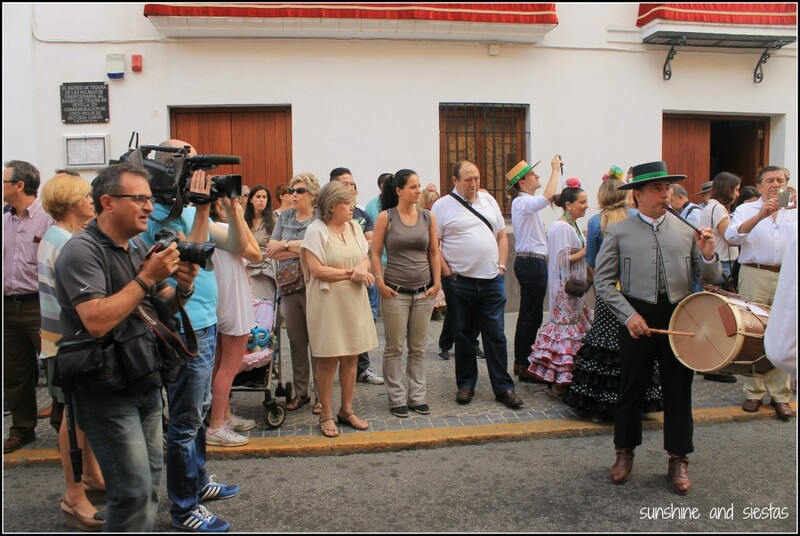 The Holy Trinity of navarro tourism is rural tourism, the region’s history and the Running of the Bulls. Rural and outdoor tourism is an important crux of local employment and income, and the so-named “Land of Diversity” offers mountains, a deep river basin and plenty of outdoor activities, like hiking and rafting, and nearly a dozen national parks and forests. This means that local meats and cheeses are also exquisite! The Camino de Santiago also passes through the Pyrenees on the Spanish side, Pamplona and several small towns before crossing into La Rioja. 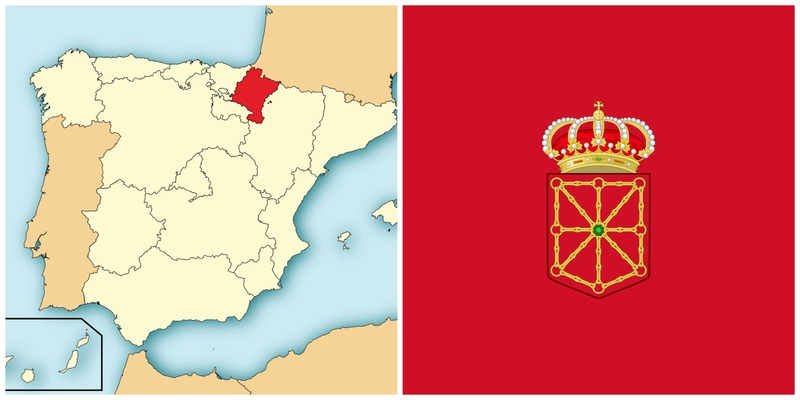 Navarra was truly a sought land, thanks to its strategic position and fertile valley. 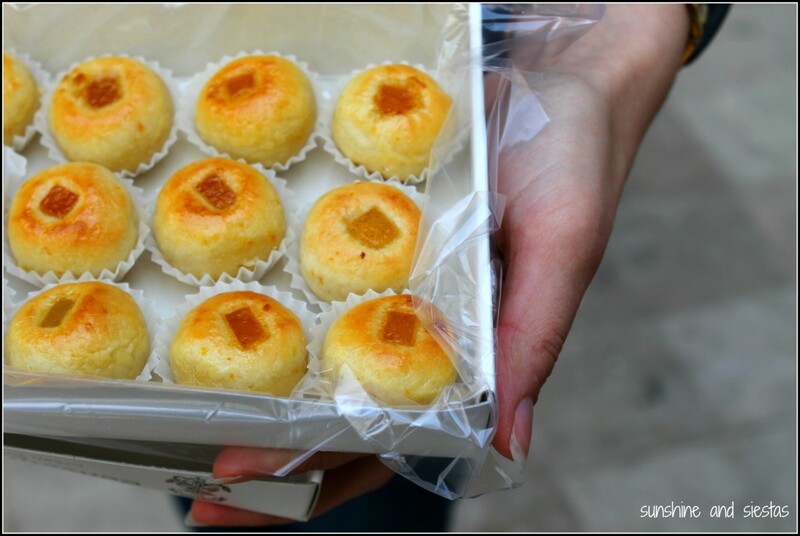 As evident above, cultures clashed and left their mark on this region. Apart from Pamplona, check out the Frankish castle of Olite, the medieval stone towns like Roncesvalles, and monasteries dotting the little-used highways. 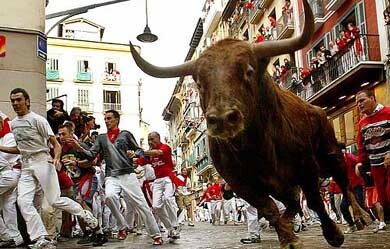 The Running of the Bulls, or Sanfermines festival, is undoubtedly the most famous Spanish festival, characterized by terrifying races, bullfights and parades. After the chupinazo rocket has been sent into the sky, signaling the start of the party, revelers have a week dedicated to the province’s patron saint, said to have been killed and dragged thru the streets, with angry bulls charing after him. 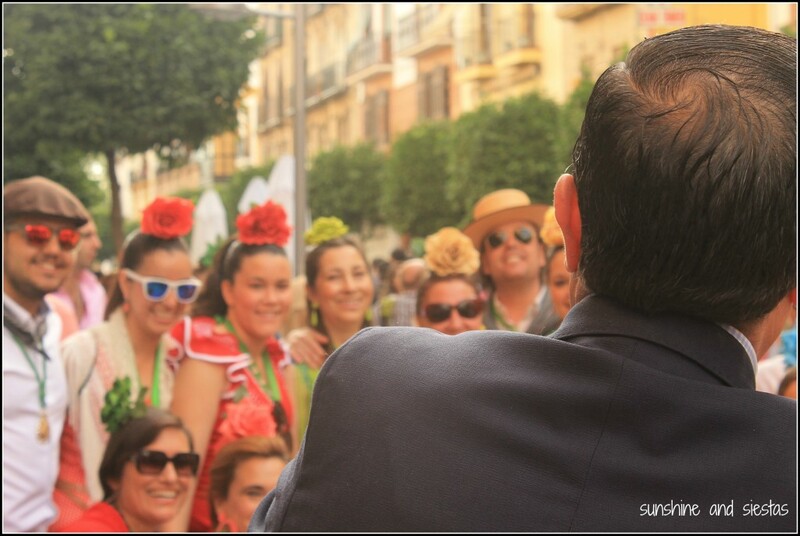 Nowadays, Navarra retains its linguistic and cultural heritage thanks to deep-rooted values. It almost seems a little behind the times, in the best sense of the word. 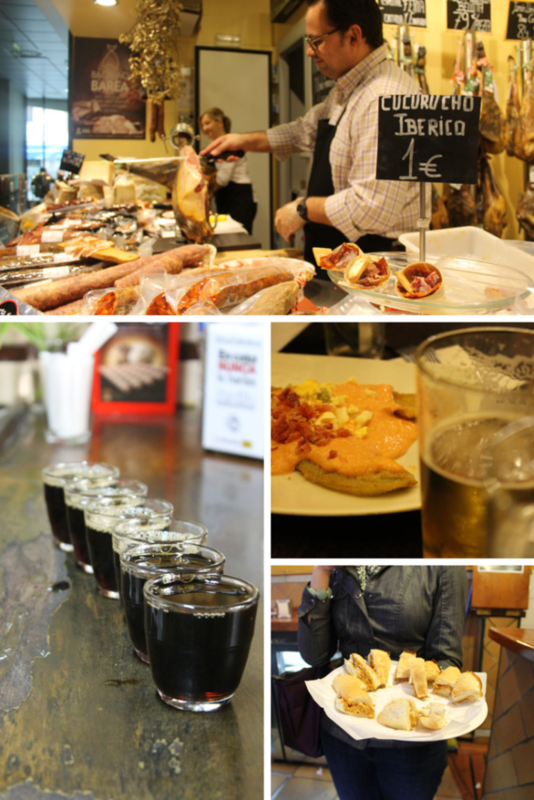 My take: We only spent a day in Navarra, visiting Pamplona on a cold March day when we were staying in San Sebastián. I was impressed with the tenacity of the people we met, at the rural landscapes ranging from mountains to lush valleys and the small but quaint old city. There is even a small animal park tucked into an old city fortress, so I was won over immediately. Like nearly the all places in Span I’ve visited, I’d like to go back! 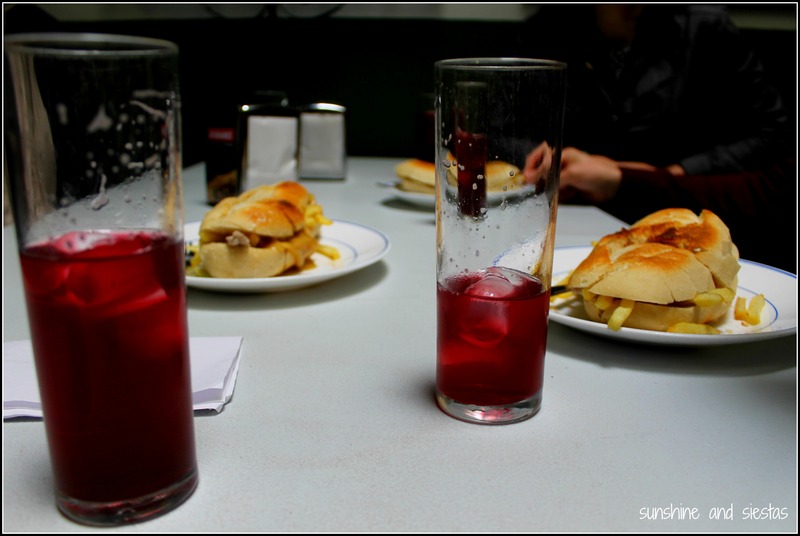 Have you ever been to Navarra? What do you like (or not) about it? That following morning at the Novio’s new house in Cerro, I was woken up by the fourth-floor shaking as what sounded like a loud pop boomed throughout. I ran into the bathroom and slammed the door behind me. Turns out the potential guns from the ‘crime capital’ of Seville were actually noisemakers of the neighborhood’s religious brotherhood. 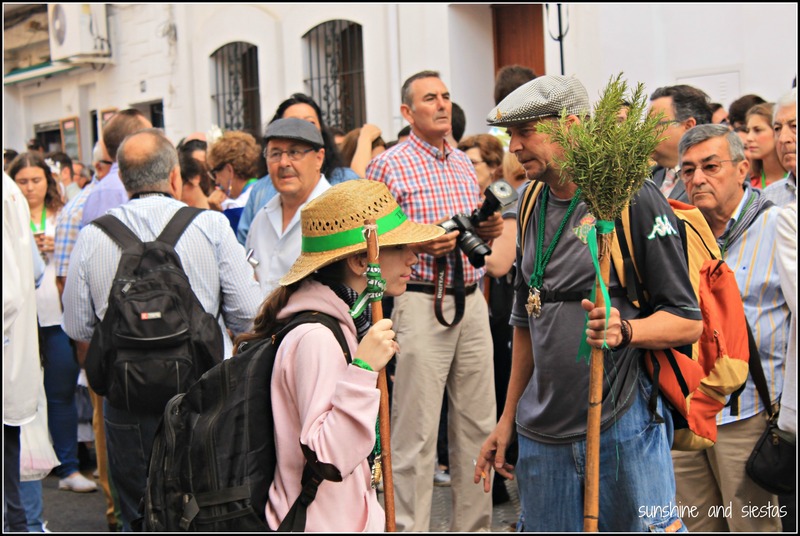 Fifty days after Resurrection Sunday, those faithful to the Virgen del Rocío (which is practically all of Southern Spain) make a pilgrimage towards La Aldea, a small hamlet full of stately mansions and dirt roads. The striking hermitage – a grandiose white mirage set at the southern edge of la Aldea with views to the marshes of Doñana National Park – was first built on the supposed spot where Alfonso the Wise found an effigy of the Virgin Mother. Today, it’s popular for its most raucous fiesta in the middle of the springtime. 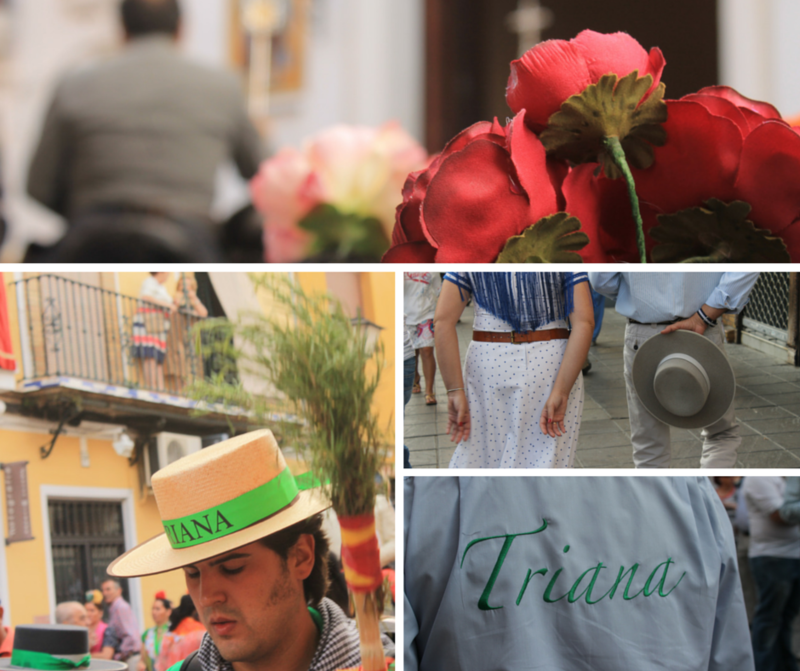 Seville counts five hermandades – Savlador and Triana are the most famous – whose numbers are staggering. 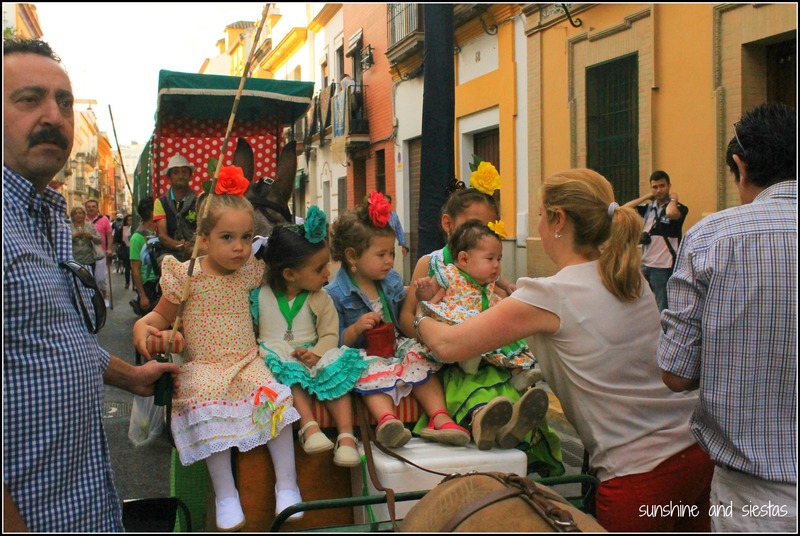 On the Wednesday before Pentecost Sunday, covered wagons pulled by oxen, horses or even tractors set out towards the Almonte and la Aldea, following a silver-laden carriage with an image of the Rocío known as a simpecado. For many of the devout, this spiritual cleansing, characterized by sleeping and eating outdoors, song and dance and prayer, is the most important part. When I worked in Olivares, many of my students went missing in the days leading up to El Rocío and the days surrounding Pentecost. 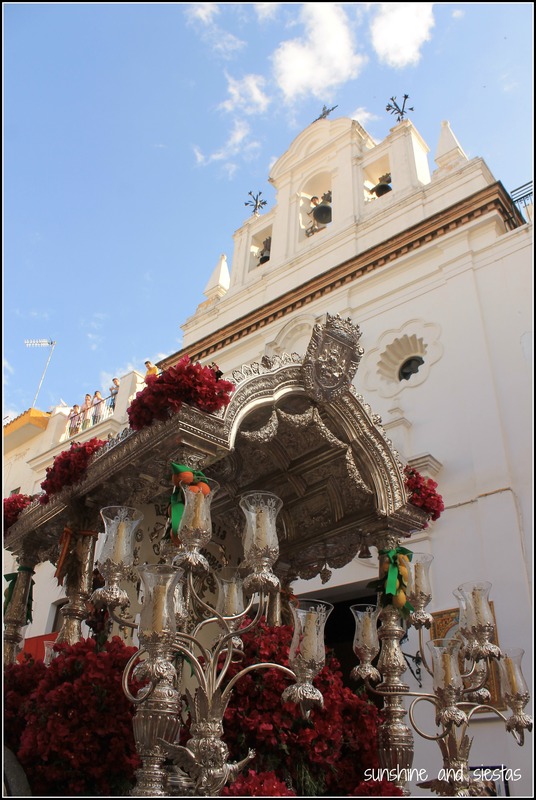 I had a handful named Rocío or Paloma in homenage to the Virgin Mary who, quite possible, is the most revered in Andalucía. Few things get me out of bed before 8am, but today I was already out the door at that time, Camarón fully charged and ready to shoot (the cohetes would have woken me up regardless). 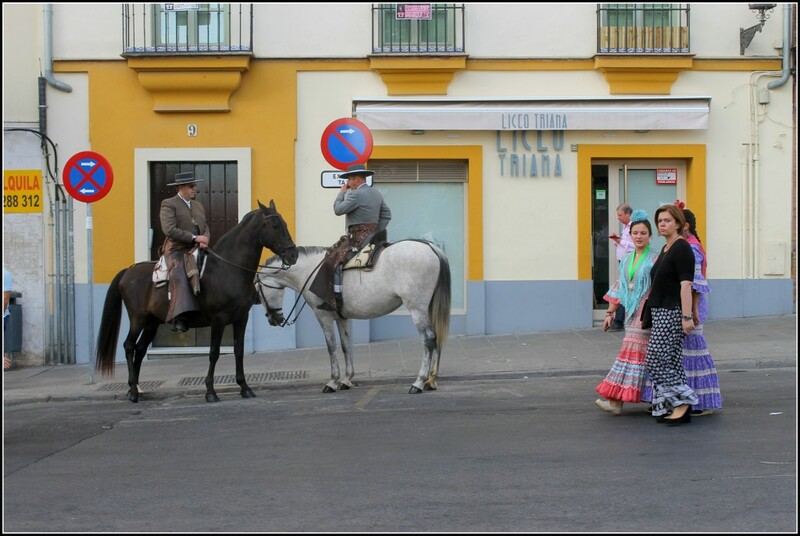 Mass at the chapel on calle Evangelista began at 7:30am, and the simpecado, preceeded by horses and pilgrims, left shortly thereafter. 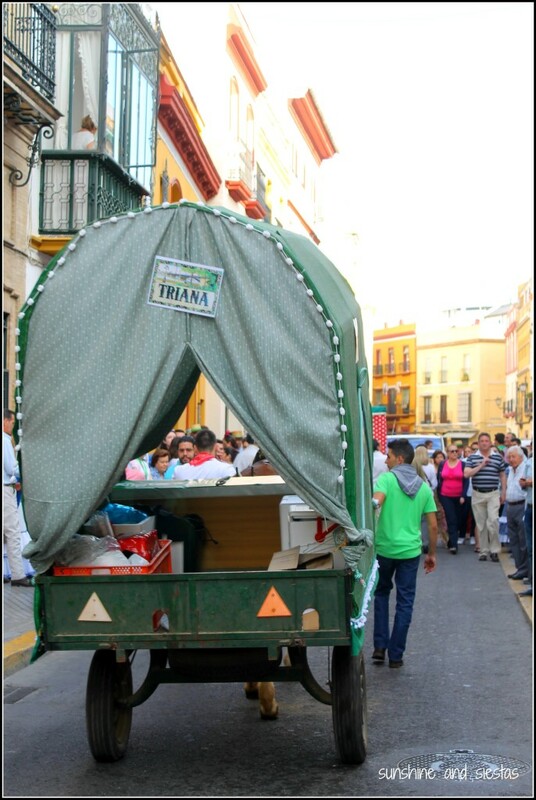 In the past, the carretas that carry supplied for the ten-day pilgrimage were allowed to traverse Triana, but city ordinance now mandate that the wagons start from Plaza Chapina at the northern end of the neighborhood. 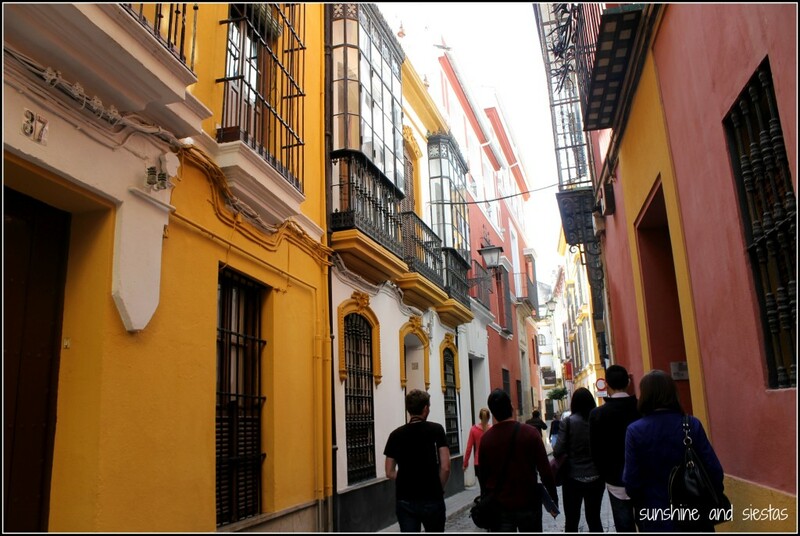 I followed the crowd to Calle Pureza and the door of the Esperanza de Triana church. Here, in one of the most emblematic monuments of the barrio, the simpecado would pass, the devout would pray and the pilgrimage would truly begin. Perched on the curb just opposite the gleaming white temple, itself a nod to its marisma counterpart 70 kilometers west, I watched as romeros – the name for pilgrims around these parts – flooded the streets. 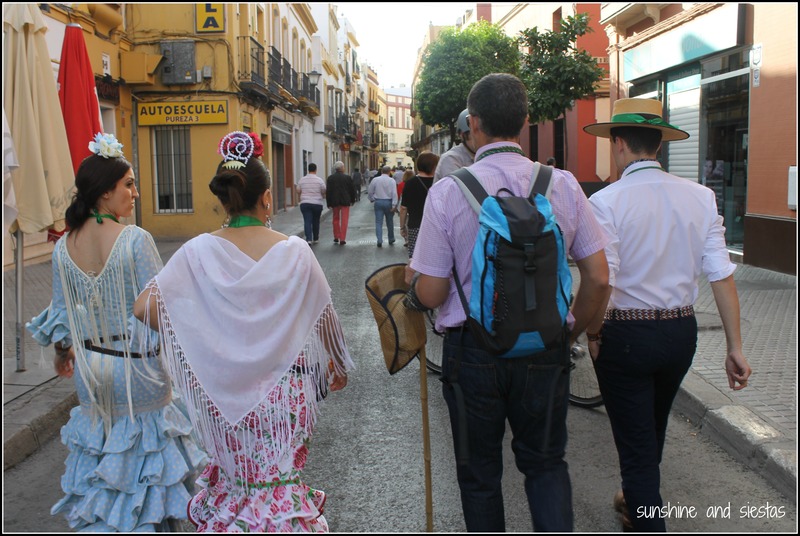 Men wear straw hats and women don flamenco dresses that are easier to walk in, all clutching medals that bear the Virgen del Rocío. A three-piece band led the procession. 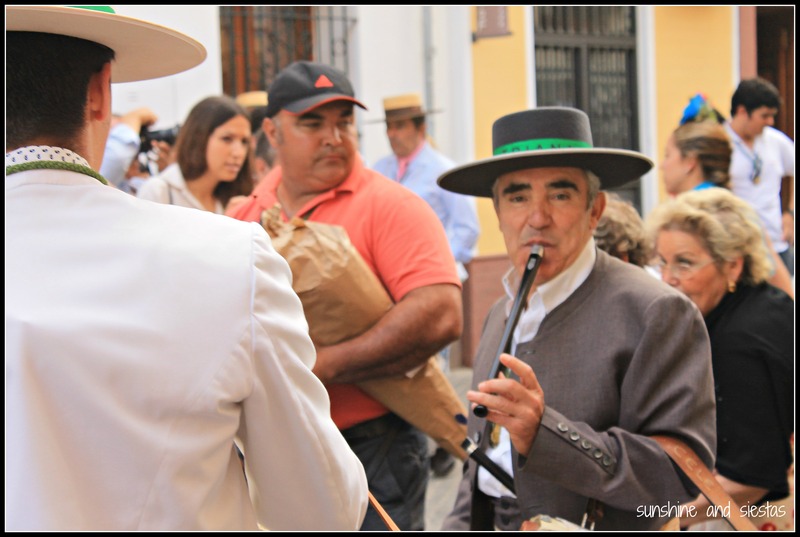 Sevillanas with a twist, rocieras use a cane and a bass drum instead of cajas and flutes in place of guitars, and singers belt out songs proclaiming the glory of the Blanca Paloma. 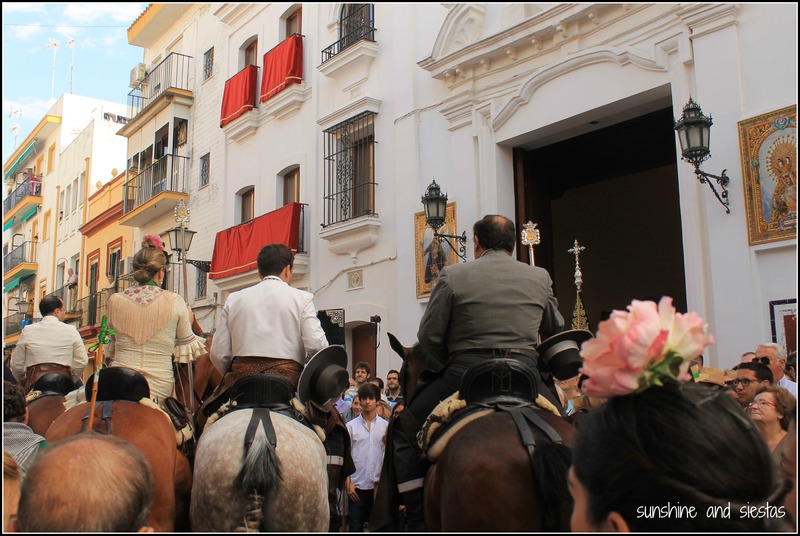 Behind them came romeros on horseback and the image of the Virgen herself. 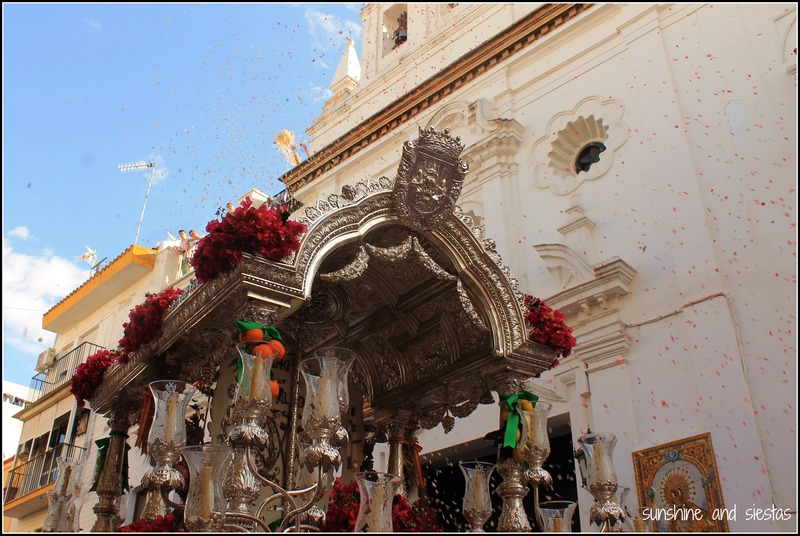 Once the simpecado had reached the door of the church, pulled by two oxen, a man on horseback removed his had and, red faced, began to rally.¡Viva La Virgen del Rocío! ¡Viva la Blanca Paloma!¡Viva la Marismeña! Each battle cry was followed by a hearty ¡Viva! Everyone around me erupted into song as petals were thrown from the roof of the church. 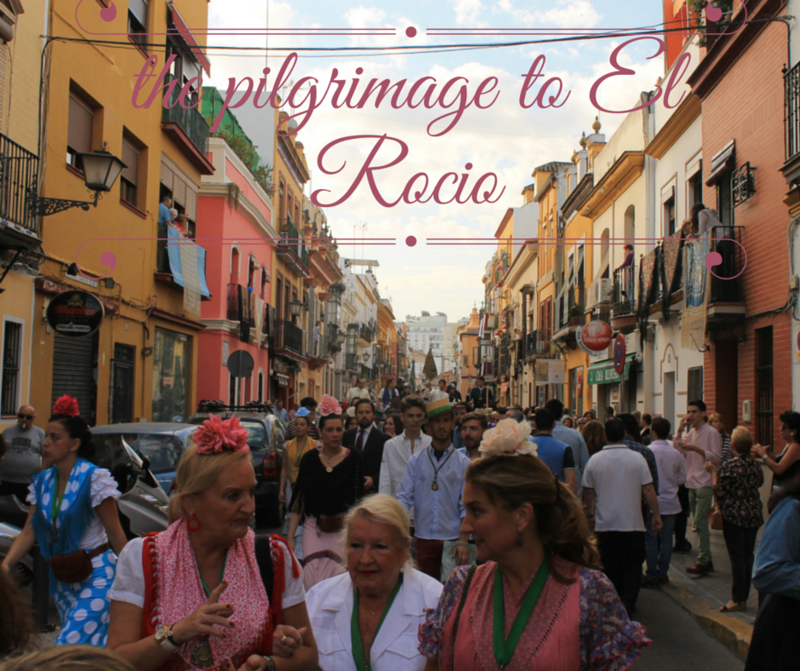 While El Rocío has a steady dose of hedonism, the true root of the festival lies in soul-stirring devotion. I felt moved in the same way that Semana Santa touched me. 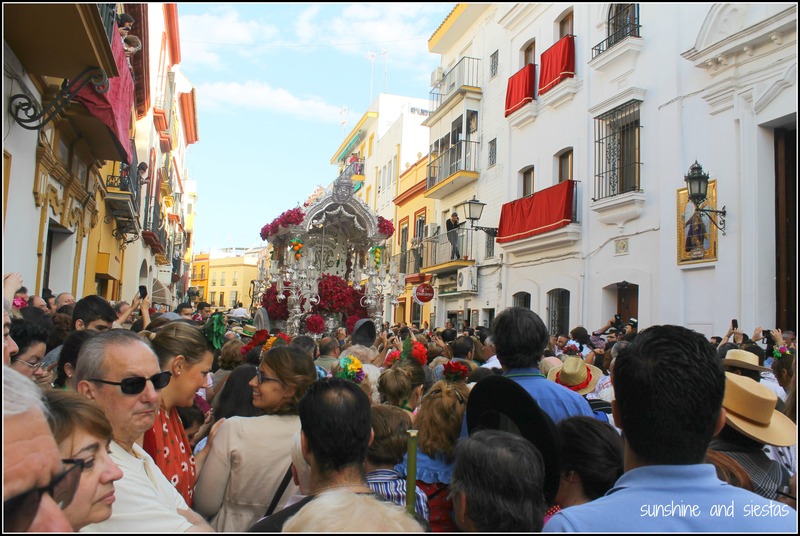 People stopped shoving and began to cry, crossing themselves as they proclaimed that only in Heaven is the Virgen del Rocío more loved. Want to read more about the festival? 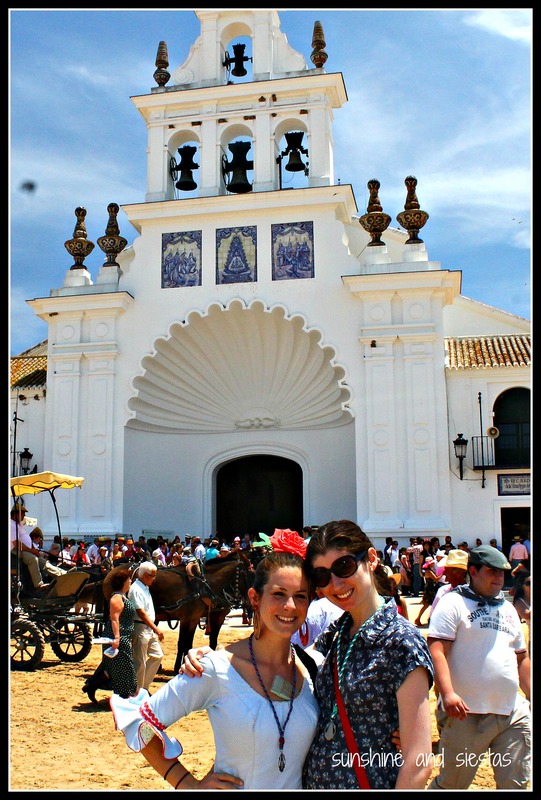 I attended the Pentecost Sunday activities –¡vestida de gitana! – in 2012. It’s officially summer when I’ve had my first granizada, a lemon slushie synonymous with the sweltering season. Summer means freedom from work, from alarm clocks and from all of those ‘adult’ things for two blissful months. And, if I’m lucky and have applied for unemployment, a trip! 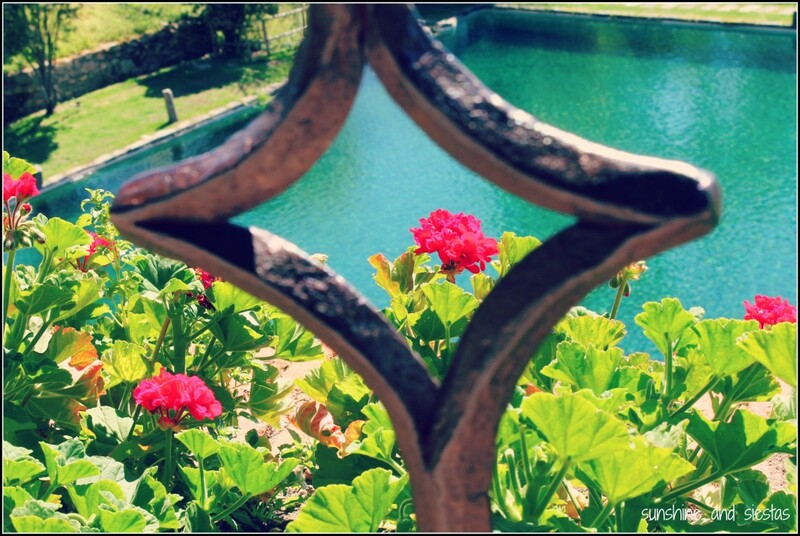 Even if you are visiting a swanky destination, you can stay on a budget if you time it right. You should visit your preferred destination after high season times if you want to save while you travel. Prices skyrocket in Spain in July and especially August, so if you can, travel outside of these periods, particularly if you’re headed to the coast. If you know that the restaurant around the corner is expensive and the food served isn’t really good, you should look for options and save money. 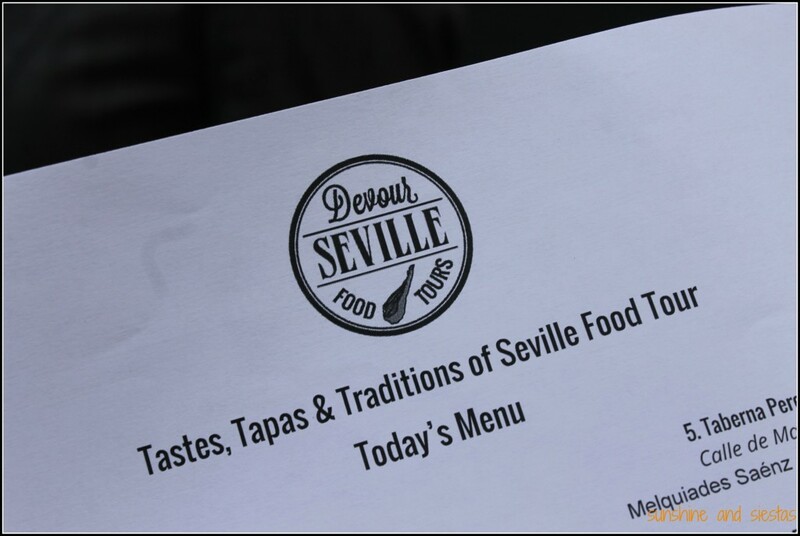 For this, it is important to do some research and find some economical restaurants that taste great, too! 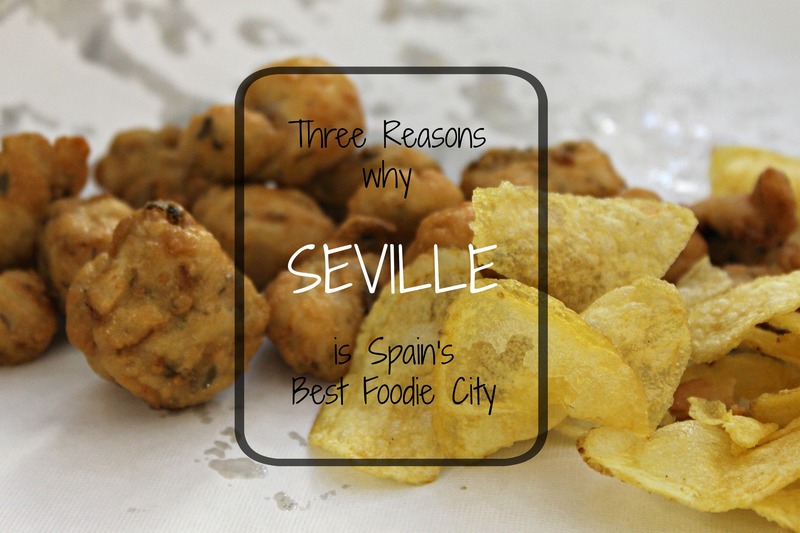 Search blogs, Trip Advisor and newspapers for the skinny on where to chow down (or, check out my section on Food in Seville). 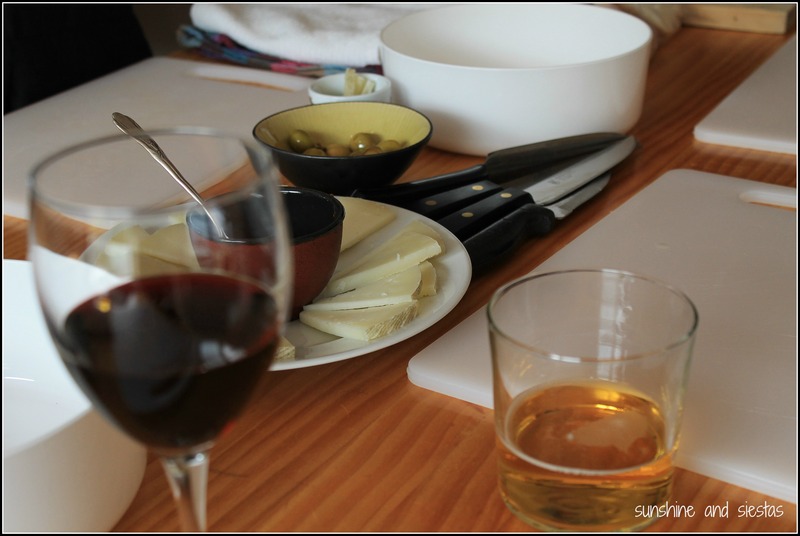 Another alternative is to cook while on vacation. 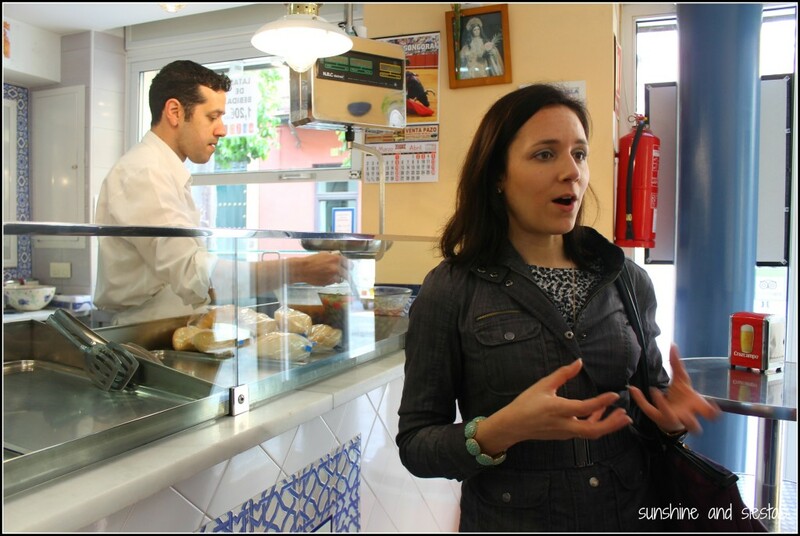 Spain is truly Europe’s fruit basket, and shopping locally and spending an evening in cooking with a glass of wine could mean more money for an experience or day trip. It is important to be specific with car rentals and look for car rental coverage. Take advantage of insurance and credit cards that have car rental coverage. Here in Europe, the size of the car even matters. Choose the smallest car possible because it will help you save money when refilling gas, and note that automatic cars are generally pricier. If you are traveling around with kids, you might think of bringing the car cheap and adding it to your luggage. However, it is advisable to ask the car rental company about their rental prices for the same and compare them. Choose an alternative that is cheaper. Remember, if you are adding it to your luggage, you might have to bear the charges for extra luggage. 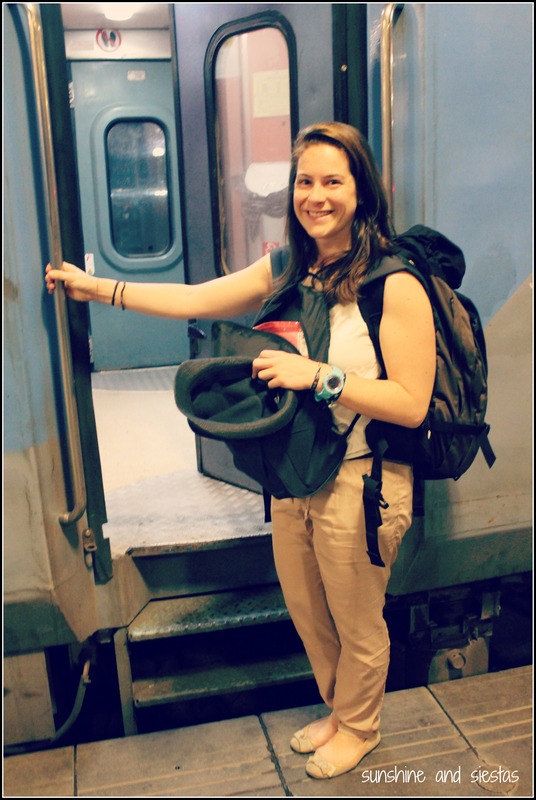 Rail, metros, and subway are often the best alternative because it is quite cheap, especially if you are traveling to Europe. However, it is better to choose a slower mode of transport if flying is too short. This gives you an advantage of sleeping while traveling, too. 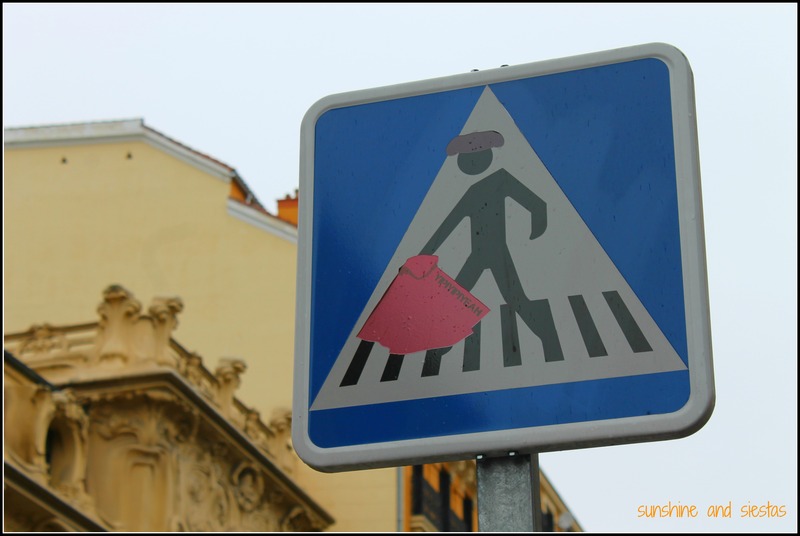 Even while moving around, it is better to avoid taxis and use public transport instead. For travel between cities, consider Bla Bla Car, a car sharing program in Western Europe that will automatically calculate your fuel charge. Watch out for the exchange rate and keep checking it regularly. Avoid exchanging dollars from such exchange centers, and instead exchange money at home to have cash at hand, or take from an ATM. Most big banks will have a partner in Europe from which you can withdraw at no charge. If they don’t, take larger amounts to cut down on silly charges. 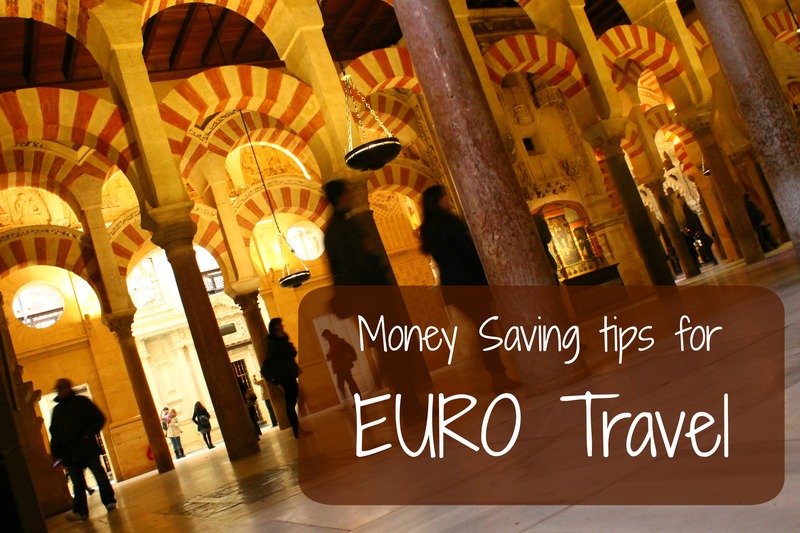 The dollar is quite strong against the euro, so now really is the time to travel to Europe! If you know where and when are you planning to travel, you will spend less time wandering around. 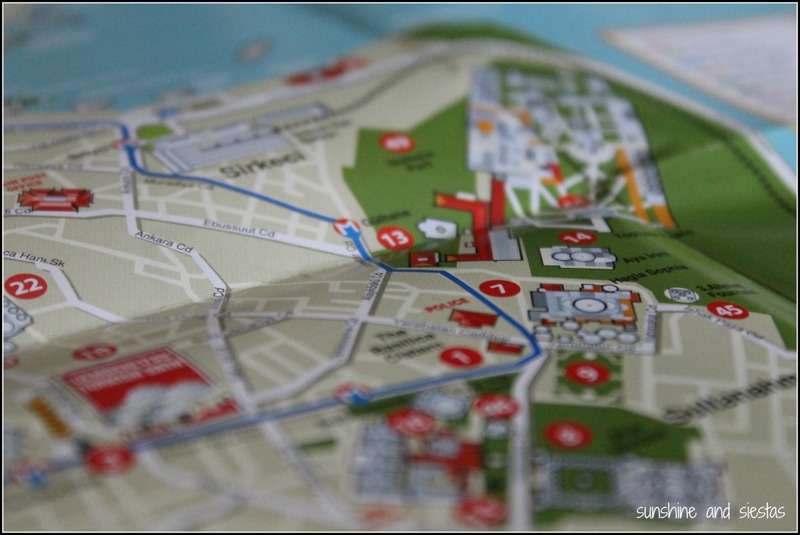 This will help you save time and money on touristic sites, transportation and maybe even a pair of walking shoes! Always make the local tourism office you first stop for free maps and discount codes. Many museums in Spain have free days or afternoons that you can take advantage of, thus significantly reducing your spending. Air tickets and hotel bookings should be done in advance when possible. 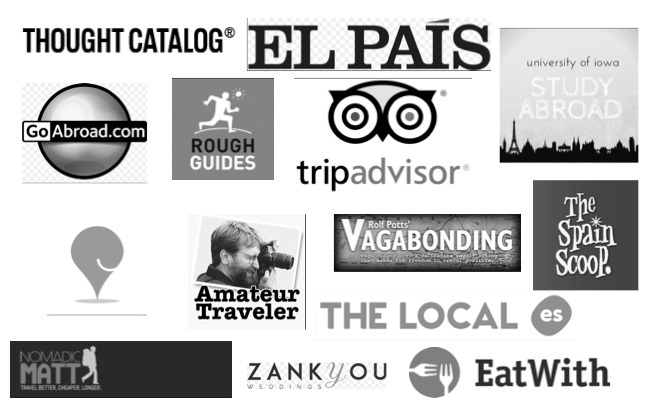 There are a number of sites that offer exclusive packages that can help you get the best prices on your bookings. Expedia is one of the best options available for you, and you can even use discount coupons for Expedia. Note: If you are booking your tickets in advance, check your airline’s site regularly for updates or set up a price tracker. Budget travel is possible in Europe, even in the peak summer months. Your main ammunition is research, planning, and price comparison! Spend those American dollars here in Spain, please! If you wish to contribute with a tip or two, please post them in the comments! 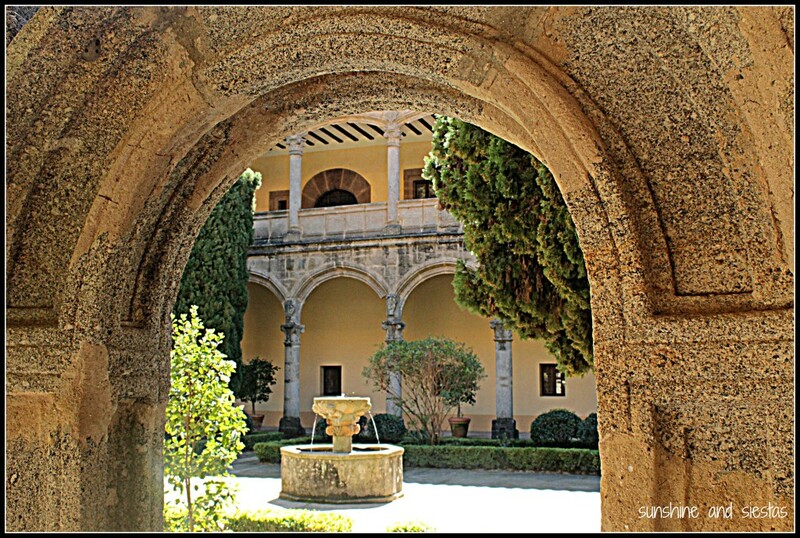 When I announced that I’d won a writing contest and had a free weekend’s stay in a luxury apartment in Trujillo, the Novio had one condition: that we could also explore the Monasterio de San Jerónimo de Yuste, the place where Holy Roman Emperor Charles V went to die. “Ya sabes,” he said, not looking away from the TV, “that’s my plan, too.” To die in the countryside, that is, away from civilization with nothing more than warm air and mountains in front of him – NOT in Yuste. For a history nerd like my boyfriend, the monastery where one of Spain’s most important rulers spent his final years was a must-see on our pilgrimage through the extremeño countryside. 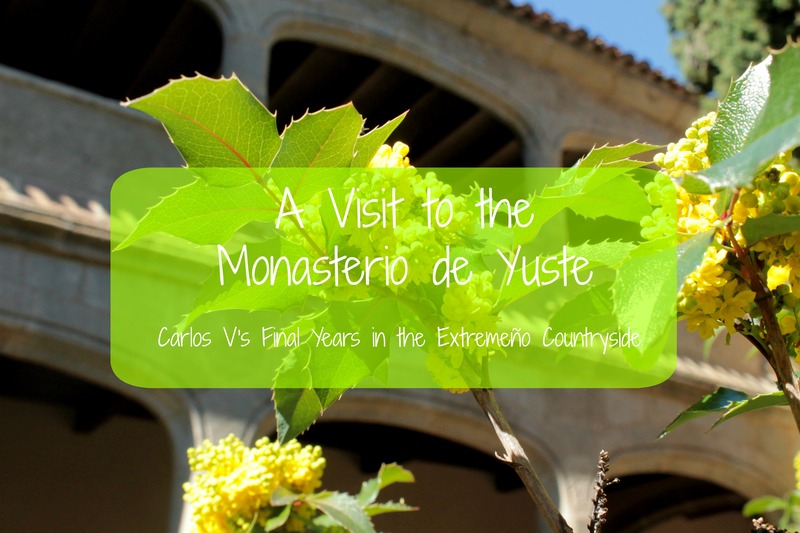 We’d been wowed at the Guadalupe Monastery after being lost for several hours, and I was enchanted by Trujillo’s medieval streets (and its stinky torta del casar cheese), but Yuste was not as thrilling as we expected. 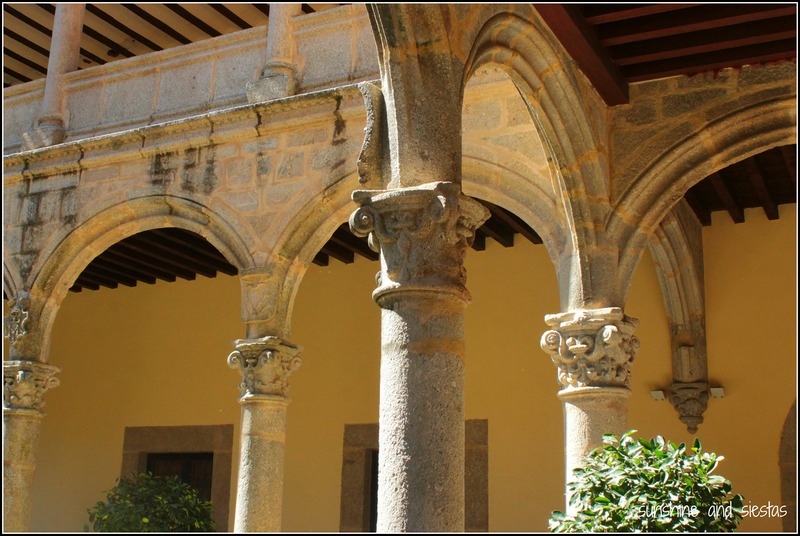 I mean, the place has a ton of history: built in the 15th Century by Hieronymite monks and nestled between almond trees and rocky mountain peaks, the monastery has both renaissance and gothic architecture, quiet patios and allegories in classical literature. In fact, it was here that the Holy Roman Emperor chose to retire after abdicating the throne to Philip II (my favorite royal Spanish personality, thanks mostly to his silly hat and stockings), seeking peace and prayer in his final days. 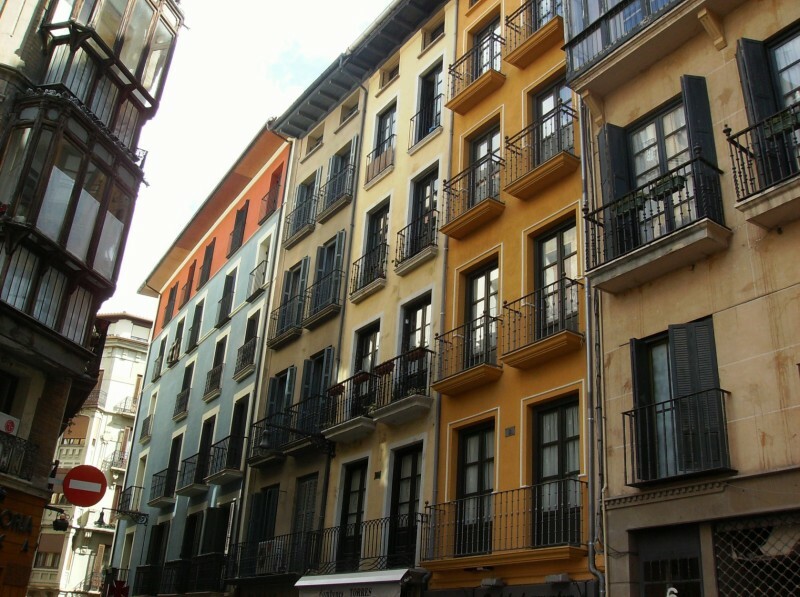 Ceded to the Spanish government after the Civil War, it was restored in the 1950s. As the monarch that spearheaded Spain’s globalization of language, religion and culture, Yuste would be a must-visit for anyone who loves Spanish history. Right from the beginning, I felt corralled as guides asked my to move along from the ticket counter (and, ouch, 9€!) through a small gift shop and to the first interior patio, which stood on the northern side of the chapel. As I snapped pictures, a blue-clad security guard cleared his throat behind me and motioned for me to move into the sanctuary. If Carlos V was looking for peace and quiet, he certainly wouldn’t have found it in the modern day monastery, and I couldn’t help feeling cramped during our brief visit. Perhaps the most interesting part were the royal apartments, built just a few years before Carlos V’s death so that the Emperor would have a view to the altar and feel the fresh afternoon breezes blow through. The torture device-looking chair that he was carried in on his final journey was also placed in the corner of the room facing expansive gardens to the south. It was hard to imagine the tranquility he felt with so many families around chattering, so we beelined out of the bare rooms and into the warm March sunshine. The Novio, even more disappointed that it took us twice as long to get to Cuacos de Yuste and the monastery as it did to tour it, had one suggestion: let’s find the nearest town and the nearest bar, and enjoy the almond blossoms on a terrace. 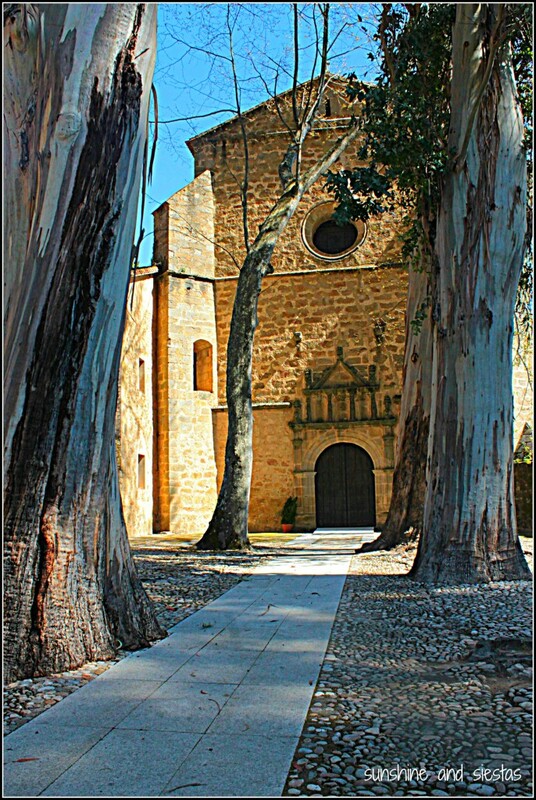 If you go: The Monasterio de San Jerónimo de Yuste is located in the village of Cuacos de Yuste in northern Extremadura, making it accessible from Cáceres and Madrid. The site is open every day but Mondays from 10am, and tickets cost a whopping 9€. For more information, check the Patrimonio Nacional’s website. Carlos V has been resting besides his son in San Lorenzo de El Escorial for centuries, and that monastery is definitely worth a visit. 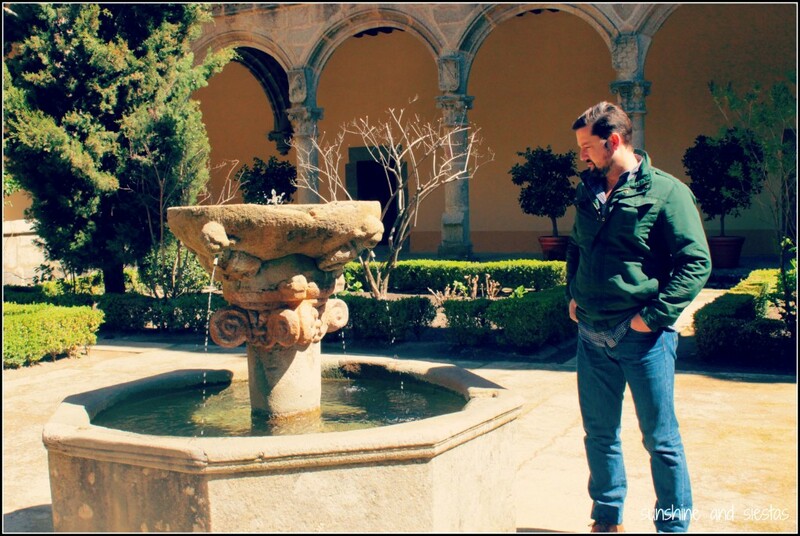 Have you ever visited a historical site in Spain? Or a place that fell short of expectations?